Florida SEO Company Based in St. Petersburg, we're proudly SEOing local businesses throughout Florida! Our Keyword Research Tool will identify niche phrases that will help you generate organic traffic that is likely to convert into leads, revenue, and sales for your business. Our Florida SEO Company provides services managed by top experts. Sign up today to receive your FREE Keyword Ranking Probability Report. Our SEO packages are affordable, and the results are proven. Allow us to focus our efforts on achieving first page rankings for your business’ niche phrases so you can devote more time and energy to your business! 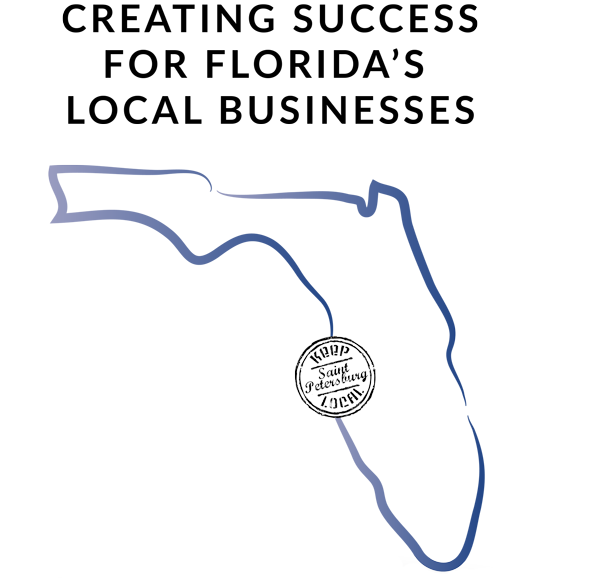 With all of our SEO St. Petersburg, FL packages, you’ll be able to login to our Keyword Tracker to track your campaign. Results are updated daily. We’re also available for additional support every step of the way! Complete the form below and we’ll help you get started. Once logged in, enter your domain and the keywords you want to rank for. You can also opt to have us do this part for you! Once we’ve identified the keywords that you can rank on the first page of Google for, sign up for one of our Florida SEO campaigns. Florida SEO Campaign Features We use proven and trusted St. Petersburg, FL SEO Company techniques to ensure your business is able to rank organically on the first page of search for your products or services. Hundreds of keywords researched to find suitable niche phrase(s). Website checked for broken links, checked for speed and checked for duplicate content. High quality unique article(s) containing links written by our copywriters. Hundreds of keywords checked against the top 20 competitors in Google and a report generated. Google Analytics and Google Webmaster tools setup. Articles submitted to niche related blogs and industry based websites. Existing backlinks to the site analyzed and cleaned up if necessary. Local business citations created to enhance maps listings. Published links are checked for relevancy and power. Website content analyzed and optimization changes documented for client. Social signals count improved (Google +1s/Twitter shares/Facebook Likes/Facebook shares). Keyword Tracking via Control Panel for clients. Month 2 Onwards... After a solid SEO foundation is laid, we continue working to improve your website's search rankings for your campaign keyword(s). At any point you can login to your SEO Keyword Tracker to see progress. We Improve Search Rankings on Any Platform We're competent in designing and SEOing websites built on any content management system or website builder. No matter which platform your website is built on we’ll be able to deliver our Florida SEO Campaigns without compromising the integrity of your website. We also offer Florida Web Design services and eCommerce Website Development. Our SEO packages are geared towards established businesses who already have an online presence, but want to increase the traffic, enquiries and sales they are getting from the Internet. As long as your website is healthy and your proposition sound, we can probably help you increase the rate at which your business grows. What are you looking to achieve? We know each client project is different, and we don’t believe in a ‘one size fits all’ approach, so the costs of each project is determined by what you want to achieve and the work involved. We manage SEO for small, local business, as well as larger-scale, enterprise clients. Get in touch and tell us what you want to achieve, and we’ll tell you how we can help and the costs/timescales involved, without any obligation. Does SEO work for every site? Most sites would benefit from the kind of structured SEO services we offer, but there will always be the odd exception. In these cases it’s usually an issue with some form of penalty, which will probably need some sort of remedial action before any future SEO should be attempted. If in doubt, ask us, and we’ll always give you an honest answer about what you can realistically expect form an SEO service like ours. We believe we’re very good, and most of the businesses we’ve helped get first page rankings would probably agree. If you’d like more details of our recent successes, we’d be happy to provide them. We are extremely confident in our ability to deliver constant upward momentum in your search terms, however due to the competitiveness of some keywords/phrases, ongoing changes in search engine ranking algorithms, and other competitive factors, we cannot guarantee specific ranking positions for any particular keyword, phrase, or search term. You will see progress towards the top ranking for all your search terms, and we are confident that you will be able to visibly see the results of our SEO work within 45 days of the campaign going live. If you have not seen at least 1 of your keywords/phrases moving up the search engine rankings within 45 days you are eligible for a full refund. You have complete peace of mind that your SEO is in good hands. With all the variables involved this is always a challenging question to answer, but once we understand what you want to achieve, and where you are at present, we’ll always try and give you a realistic timescale for achieving your objectives. Realistically, an average project would probably see a significant improvement in their rankings and traffic in 3-4 months. GET STARTED TODAY! Using our powerful algorithm, we'll identify exactly which keywords your business should be aiming for, then we'll help you get ranked on major search engines like Google, Yahoo!, and Bing. Come Visit Us at Station House in Downtown St. Petersburg! Copyright © 2017 Mango360SEO.com. All rights reserved.